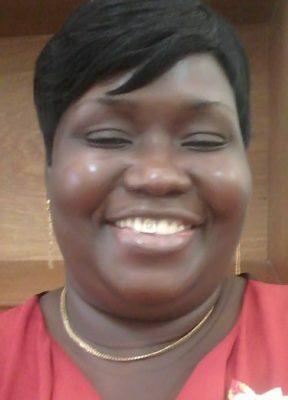 Sandra Adams (Jan 2nd 2018): Two days into the new year, the sudden death of leading People’s National Congress Reform (PNCR) Region 10 official Sandra Adams, who suffered massive cardiac failure, came as shock to many in her Linden community and her party. She was 48. Tributes poured in for the long-serving party stalwart, who at the time of her death headed the PNCR’s Linden office and held the position of Assistant National Director of the Community Development Council in the Ministry of Communities. President David Granger expressed, through a statement, that he was deeply saddened at Adams’ passing. 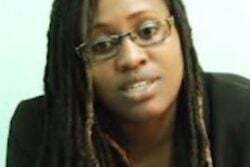 Adams was described as a “dedicated public servant, community organiser and political activist.” She was the Principal Political Secretary and member of the Central Executive Committee of the PNCR and also served as the Regional Chairman of the party’s Upper Demerara-Berbice Region. 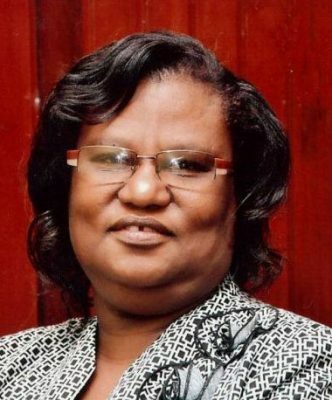 She served in the National Assembly as a Regional Member of Parliament from 1997 to 2006 and was the recipient of a National Award- the Medal of Service – for her long and outstanding service in social and community affairs in the Upper Demerara-Berbice Region and as a parliamentarian. Neil ‘Mr Solo’ Chan (Jan 5th 2018): The one-time owner of the then popular Xanadu nightclub, who was known for his efforts in the development of local arts and culture, died at the age of 88. The Guyana Cultural Association of New York noted that Chan had many interests, including culture, music, business and sports. The association hailed “his long, dedicated and outstanding contribution to Guyana’s culture” which saw him being awarded Guyana’s Golden Arrow of Achievement. Junior Garrett (Jan 26th 2018): Just hours after he made an impassioned plea that City Hall’s 2018 budget cater for the payment of workers’ benefits from 2017, the PNCR councillor on the Georgetown Mayor and City Council (M&CC) collapsed and died. He was 64. 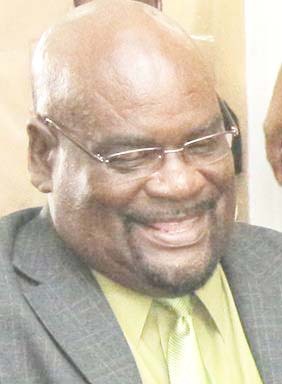 Known for his concern for the welfare of workers, Garrett was concerned that City Hall did not pay workers’ contributions to the Credit Union, National Insurance Scheme and the Guyana Revenue Authority for 2017 and pleaded that the 2018 budget cater for the payments. A practicing accountant, Garrett, who was first appointed to the council on March 25th, 2002, was one of 15 constituency councillors elected to the council at the March 2016 local government elections. A longstanding member of the PNCR, he was elected as an APNU+AFC candidate to represent Constituency 3 (Bel Air Gardens, Bel Air Springs, Prashad Nagar, and North East & North West Campbellville). Councillor Garrett served consistently on the council’s Finance Committee, holding the post of Vice-Chairman from 2004 to 2012. 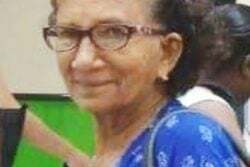 Justice Guya Persaud (Jan 29th 2018): The former High and Appellate courts judge, who served both in Guyana and Trinidad and Tobago, died in the latter country at the age of 96. His wife said that he had passed away peacefully. He also recounted that Justice Persaud had a decision about the admissibility of a confession statement reviewed by the Privy Council and he became one of the leading authorities in that area of the law. He was also one of the three appellate court judges in the famous case of Mustapha Ally v Bookers. 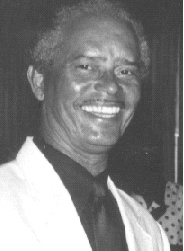 Persaud left Guyana in 1976 and had been living in his adopted homeland until his demise. Mohamed Shahabudeen (Feb 17th 2018): The renowned Guyanese jurist, who served as the Attorney General of Guyana as well as a judge on the International Criminal Court, passed away in Canada where he lived. He was 86. Tributes poured in from the local legal fraternity with his colleagues reminiscing on his astuteness. “He was a man of great intellect and tremendous scholarship and he is one of the greatest lawyers Guyana has produced. He is among the top three or four that Guyana and the Caribbean region have produced,” Senior Counsel Ralph Ramkarran had told this newspaper. 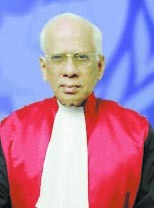 President David Granger extended heartfelt condolences to the family and loved ones of Justice Shahabuddeen and the Ministry of the Presidency said that he will be remembered for his distinguished service as an eminent Judge of the International Court of Justice, lawyer, public servant, politician and diplomat. Shahabuddeen graduated from the University of London with a Bachelor of Law Degree in 1953. In 1958, he earned his Masters of Law; in 1970, he earned his Doctor of Philosophy; and in 1986, the title of Doctor of Law. 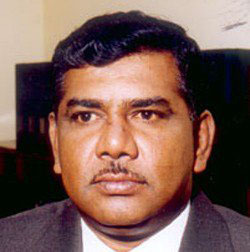 Justice Shahabuddeen began his public service as a magistrate before joining the Chambers of the Attorney General in 1959. In 1962, he was appointed Solicitor General, a post he held with distinction until 1973, when he was elevated to the position of Attorney General. He served in that capacity from 1978 to 1987. In 1983, he was appointed Deputy Prime Minister and Vice President of Guyana. Wilson Harris (Mar 8th 2018): The world renowned Guyanese author died in England at the age of 96. The celebrated author of 26 novels, numerous works of poetry, essays and speeches passed away in London, England, where he had lived since 1959. President David Granger had extended his condolences to Harris’ family including his son Professor E. Nigel Harris, Chancellor of the University of Guyana. Author Ian McDonald, a contemporary of Harris, described the writer, whom he first met in 1955, as a most lovable and memorable man who had “a smile which crinkled his face until his eyes nearly closed and a very distinctive, slow, quiet tone of voice.” Sir Wilson, he said, will be remembered as “one of world literature’s most original novelists” who was often mentioned as deserving of the Nobel Prize. The originality of Harris’ writing style was also commended by literary critic Al Creighton who described his death as a sobering moment. “His death is a great loss which has left a void. He has left a vacuum because of his originality and the impact his style of writing made and the theories of writing he expounded upon. You don’t have people doing that kind of writing right now,” Creighton had said. He reminded that Harris’ first contribution to Guyanese literature was as a poet in the late 1940s. Over a period of 50 years, beginning in 1960, Harris published a large body of work but he is still best remembered for his first four novels: Palace of the Peacock (1960), The Far Journey of Oudin (1961), The Whole Armour (1962) and the Secret Ladder (1963), all published by Faber and Faber and referred to as the Guyana Quartet. In recent years, Faber and Faber has re-issued the Guyana Quartet in a single volume. Compton Young (Mar 15th 2018): The former Georgetown Mayor and popular florist died at the Georgetown Public Hospital where he had been admitted as a patient. He was 77. Remembered for his generosity and his dedicated efforts to ensuring that the city was kept clean, tributes flowed from many who knew him in his capacity as Mayor. Former Mayor Patricia Chase-Green and former city councillors who served with him said that Young will be long remembered as a visionary city leader and for his good works and wisdom. A statement from City Hall said that despite being elected mayor on the ticket of a political party, in his management of the council, Young rose above partisan politics and thus became a true city father and change-maker of the city. “The council remains grateful for the precious time and invaluable service he gave to the City of Georgetown,” the statement said. Young had operated a popular flower shop, The Flower Shop, located on Middle Street, Georgetown, for 45 years before he sold it. In an interview with this newspaper in December, 2015, Young, the son of Chinese and Grenadian immigrants, had noted that from a very young age, he realised that he was blessed with gifted hands that created art in the form of floral arrangements. He had said that he realised that arranging flowers was his calling and this, coupled with his love for plants and nature, was the catalyst to him establishing one of the first floral shops in Guyana. 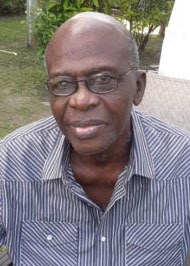 Having no relatives in Guyana, Young had been a resident of the St Thomas Moore Men’s Homestead for several years but left to stay with a close family friend a few months before his demise. Professor Harold Drayton (Mar 11th 2018): The former University of Guyana (UG) professor, who is credited for his work in overseeing the establishment of UG back in 1963, passed away in the United States. He was 89. “Dr Drayton’s resourcefulness played an important role in the transformation of the idea to the successful opening of the University of Guyana in October, with night classes at Queen’s College. 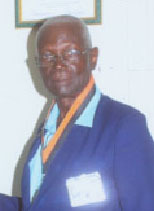 Dr Drayton served as the university’s inaugural Vice-Chancellor and Professor of Biology, and was one of the few lecturers who served the then three faculties at UG. Dr Drayton would render eight years of service to UG,” one of his colleagues wrote in a tribute to him. His longtime friend Harry Hergash said that Drayton received his secondary education at Modern High School, where one of his classmates was Sir Shridath Ramphal, whose father was the founder and Principal of the school, and later, at Queen’s College. In 1948, he won an open scholarship to the University College of the West Indies, Jamaica, now University of the West Indies, but was soon expelled because of his left wing political activism. 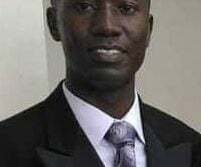 After a stint of high school teaching in Jamaica, he entered the University of Edinburgh, Scotland where he completed his bachelor’s and doctoral degrees before taking up a lectureship position in Ghana. In December 1962, he heeded Dr Jagan’s call to return home and take on the “university project”. Geoffrey ‘Mighty Rebel’ Phillips (May 31st 2018): The Guyanese Calypso icon, known for bold and unapologetic political commentary which challenged the state of affairs, died after a period of illness. He was 72. In 2011, Rebel was honoured for his contribution to the local music scene at a private ceremony organised by Natasha Corrica, Marci Forde and Stanley Phillips in the wake of the announcement of his retirement earlier that same year. “I was thinking about retiring for some time, but I keep coming back because of my fans and because I love singing… I want to make it clear that I am not done with singing, just with competition,” Phillips had said then. The six-time Calypso Monarch winner had under his belt the 1988 hit “Secondhand,” “Dessie You Wrong” (1993), “Political Lie” (1997), “Ask de President” (2001), “Is We Put You Deh” (2007) and “All Awee Know De Man” (2010). He was also the runner-up nine times in the competition. Many of his popular songs questioned the policies of the president of the day. In an interview with Stabroek News in 2007, the calypsonian had said he nearly was not Rebel. When he first burst onto the scene and had to find a stage name, he came up with The Midget. It was a name he thought of, given his stature, but a close friend urged him not to use the name and suggested Mighty Rebel instead. He decided to go with it. Rebel had opined that soca music was rising in Guyana to the detriment of calypso music. He said the soca tunes have very little to offer yet many follow them more closely. He said calypso has a message and is more than “rags and flags” but has been neglected at all levels. “There are some things I can testify to about his character. He was a strong supporter of our party; the People’s Progressive Party for decades. He stood with us during some of the most difficult times, for example in the 1970s, when supporting the PPP could have been seen as inviting oppression from the then government – the People’s National Congress,” Ramotar said. “He never made a secret of his admiration for Dr Jagan and his teachings and refused to join with those who succumbed to the pressure to deny the PPP and it tells the type of person he was. When PPP returned in 1992, he was one of the close supporters of Cheddi. He later served at the Georgetown City Council where he felt he could impact the ordinary citizens of the town he lived in. He did an outstanding job for the citizens of Georgetown from 1994 until he got sick and came off,” he added. Ramotar lauded Mann’s contribution to sports as a commentator. “He was a commentator of especially cricket and boxing, at a time when many persons did not have television in Guyana. Rocky gave vivid imagery when he was commentating and you felt as if you were there.” Mann was also an insurance salesman. Oliver Hinckson (Jun 21st 2018): The ex-army officer died at the Kitty-based Mercy Resident Care Home where he was recovering from a stroke. Hinckson, who was 74 years old and a father of seven, died peacefully, his nephew Royston Meredith had told this newspaper. 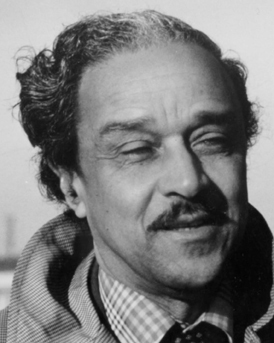 Aside from his successful military career, which included being the first Guyanese to attend the UK-based military academy, Sandhurst, the outspoken Hinckson was also a teacher, an entrepreneur and author. He authored several books but his failing sight forced him to shelve manuscripts he was working on. Under the Bharrat Jagdeo Presidency, Hinckson was charged on March 11, 2008 with advocating the commission of a terrorist act and uttering seditious statements, both of which were later dismissed. The second charge stemmed from a statement he made during a press conference at City Hall. 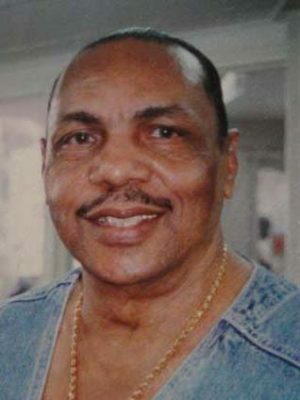 Abdul Kadir (Jun 28th 2018): The former PNCR parliamentarian died in a US prison where he had been serving a life sentence for plotting to blow up fuel tanks at the John F Kennedy Airport in New York. He was 66. From 2001 to 2006, he had served as a regional Member of Parliament for the then opposition PNCR. 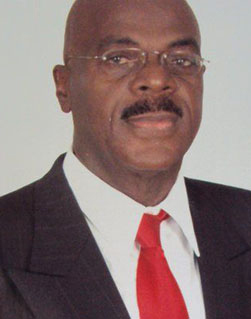 He had also previously served as Mayor of Linden from 1994 to 1996. Kadir was sentenced by a US court to life in 2010 after being convicted, while his co-conspirator, another Guyanese, Abdel Nur, who pleaded guilty, was sentenced to 15 years in 2011. 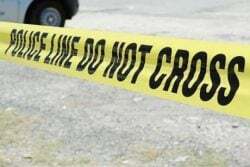 Prosecutors had said that the bomb plot was hatched in January 2006 by Russell De Freitas, a Guyanese who is a US citizen, and reportedly involved blowing up jet fuel tanks leading to the airport. Kadir, formerly Michael Seaforth, was convicted of conspiracy to attack a public transportation system; conspiracy to destroy a building by fire or explosive; conspiracy to attack aircraft and aircraft materials; conspiracy to destroy international airport facilities; and conspiracy to attack a mass transportation facility. He had maintained his innocence and testified that he was not involved in the terrorism scheme but that he had feigned interest in the plan because he hoped its architects would help him raise money to build a mosque. 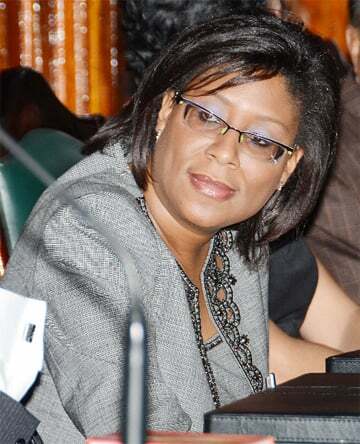 Debra Cadogan (Jul 10th 2018): The Head of the Committees Division of the National Assembly passed away at the Georgetown Public Hospital after suffering from a brief illness. She was 56. 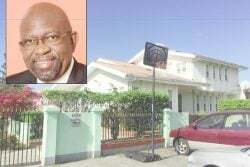 A resident of Dr Miller Drive, Triumph, East Coast Demerara, Cadogan had served the National Assembly for 19 years, having begun to work there on October 6, 1999. 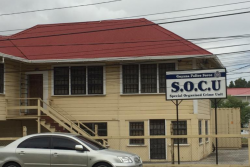 According to the Parliament of Guyana’s website, the Committees Division was established in May 2003 and provides secretarial and administrative support and procedural advice to all the Committees of the National Assembly. Each Committee is provided with a Clerk and an Assistant Clerk of Committee and, where necessary, a researcher. “The Division is managed by the Head of Committees Division who plays an important role in the coordination of resources between the other departments and in the dissemination of information to and from the Committees Division,” it further read. 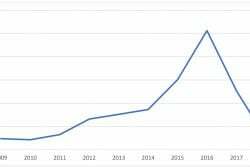 Dr Gladsone Mitchell (Jul 31st 2018): The prominent Guyanese doctor died in Jamaica two years after retiring and after a prolonged period of illness. The certified obstetrician and gynaecologist retired in 2016 at age 79 after 50 years in practice. 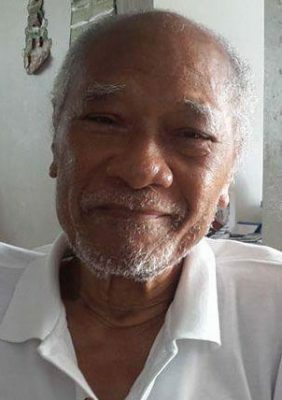 At the time of his retirement, he had told Stabroek News that he suffered a near-death experience in neighbouring Trinidad and Tobago while attending the graduation of his granddaughter. Mitchell had called for local politicians to stop interfering in the policy decisions made by medical professionals that are aimed at developing the nation’s healthcare system. On speaking of political influence on polices in the health sector, he spoke of how he ached to see his daughter, who was a serving doctor here, retire from serving on the Medical Council of Guyana after just four years because of such interference. Her fights were exhausting and draining, not with patients or peers but with the then Ministry of Health, which, according to him, is supposed to be the partner of the local medical fraternity in the fight to improve healthcare. Born in Linden and raised in Industry, the Queen’s College alum told this newspaper that he always knew he wanted to be a physician. In pursuit of this dream, he studied medicine at the University of the West Indies in Jamaica and later underwent specialised post-graduate training in Barbados, at the Yale University in the United States and at Hammersmith in the United Kingdom. 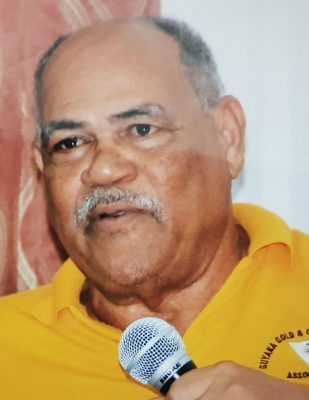 Mitchell, a four-decade member of the Medical Council of Guyana and former Superintendent at the Suddie Hospital, was father to two daughters and one son. 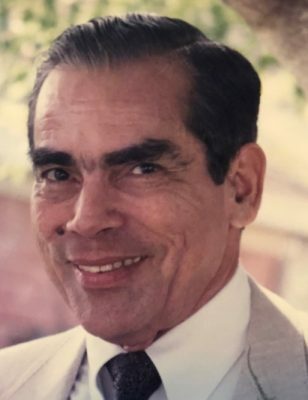 Edward ‘Tony’ Shields (Aug 1st 2018): The former executive secretary and founder member of the Guyana Gold and Diamond Miners Association (GGDMA) passed away in the USA after a period of illness. He was 72. A Vietnam War veteran, Shields joined the mining association in 1984 and served it faithfully until his passing, the GGDMA had said. “The GGDMA mourns the loss of this mining stalwart. His guidance and tenacity will be missed. 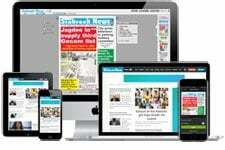 He was a friend of the miners and a champion for miners rights in Guyana,” the association said. Ranwell Jordan (Aug 10th 2018): Another one of Georgetown’s former mayors passed away in 2018. Jordan was 79. He served as mayor from 1995 to 1996 and spent over 21 years as a city councillor after being elected in 1994. Former Mayor Patricia Chase-Green, councillors and officers of the Georgetown City Council expressed their sadness at his sudden passing, in a statement. It was stated that as a member of the council, Jordan served on the International Relations and City Works committees and was the council’s representative on the Central Housing and Planning Authority’s board and the Guyana Cricket Board until 2016. “Georgetown has lost a true son of the soil. We salute his commitment to local government reform and local democracy and express sincere condolences to his children, relatives and other grieving friends,” the statement had said. President David Granger extended heartfelt condolences to Jordan’s family on his passing. He said that Jordan, a Justice of the Peace and Commissioner of Oaths, lived a life of service to his community and the city of Georgetown. Benedict Singh (Sep 12th 2018): Guyana’s first Catholic Bishop passed away at the age of 90. According to a statement from the Catholic Church, in April of 1971, Bishop Singh became the first Guyanese Bishop of the Roman Catholic Church. He held the titles Titular Bishop of Arsenaria and Auxiliary Bishop of Georgetown after being appointed by Pope Paul VI, and then months later, on August 12th, 1972, he succeeded Bishop Guilly as Bishop of Georgetown, a position he held until November 10, 2003, when he retired. It was reported that soon after being appointed Bishop, Singh introduced the Parish Lay Assistants (PLA) training programme, which was executed along the coastland and interior. Bishop Singh, who was ordained to the priesthood on December 7, 1954, accomplished much during his time in office, having served the church in many capacities throughout his tenure. 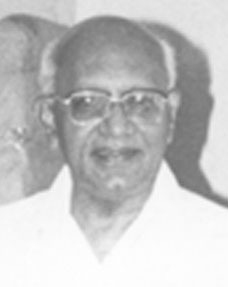 After having obtained his Licentiate in Philosophy from the Urban University in Rome in 1951, and his Doctorate in Sacred Theology from the Pontifical Propaganda College in Rome in 1957, with his thesis titled “The Theory of Revelation in Hindu Philosophy and Religion”, Singh returned to Guyana that same year to serve. He was appointed to the Meadow Bank Church. In 1993, Bishop Singh received the Cacique Crown of Honour from the Government of Guyana. Heeralall Mohan (Nov 7th 2018): The former parliamentarian and Region Two Vice Chairman passed away at the age of 70. Former President Donald Ramotar lauded his contribution to the PPP/C and the region saying that Mohan’s work will forever be remembered because he did it for the people and wanted to see their lives improved. Mohan’s longtime friend Mohamed Khan gave a brief synopsis of his life in a letter he wrote to this newspaper. “Mr Mohan was called upon to serve the region as the first vice chairman for the PPP/C in 1992 and worked his way up and finally became a member of parliament in 1998. The late vice chairman had a sound knowledge of the agricultural sector in Guyana, especially in the rice industry because he was also a rice farmer. He used his wealth of experience to lobby the government and parliament for improved conditions for poor rice farmers,” he said. “This “country boy” was born in Lima, a well-known farming and fishing community, he was a “grass root man”. He had his own style in dealing with workers and farmers’ problems. Our country, the region and the agricultural sector in particular suffered a great loss as a result of his passing,” he added. 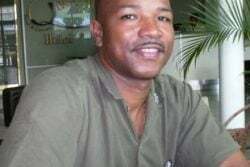 Bevon Currie (Dec 9th 2018): The former youth leader of the Guyana Youth and Student Movement (GYSM) and PNC lost his battle to cancer in the United States where he was being treated. He was 44. His friend and fellow PNCR executive Lurlene Nestor reflected glowingly of Currie in a letter to this newspaper. “Bevon also served as the national secretary of the GYSM when I served as the organisation’s chairperson. I could not have asked for a more supportive and dedicated secretary. He took his responsibility seriously. It was in this role that I truly came to realise just how unselfish and kind-hearted Bevon was. Sometimes I believe he bit off more than he could have eaten and made too many commitments, all of which I believed had to do with his attitude of always wanting to assist or contribute,” she said. “Bevon was the kind of person who gave because he felt compelled to give. He was humble and contented; one who faced difficulty with a sense of calmness. He loved a spirited political debate, loved to argue; even if he was losing the argument he would make his point. However, when all arguments were over, he skillfully conjured up a light conversation to remind you that his argument was over. His sense of camaraderie and friendship reminds you that he did not bear malice or see others as his foes. He had an ability to move on, on spot! He had a unique ability to make friends easily. I am quite sure his friends’ list spans the entire country. New members to the GYSM quickly got to know Bevon and appreciated his friendship very quickly. Many confided in him and trusted his judgement,” she added. Victor Ferreira (Dec 11th 2018): The veteran Region One educator passed on at his home in the Santa Rosa community after a long battle with cancer. He was 69. Popularly known as Teacher Vic or Sir Vic, his community came out and paid tribute in music and prose to the work and legacy of its local educator, musician, scout master and sportsman. Recognised by the State for long and dedicated service as a teacher, he was bestowed with a Medal of Service in 2011. 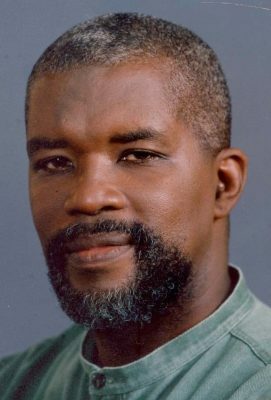 In 1988, he was the recipient of the Teacher of the Year Award from the Guyana Teachers’ Union. 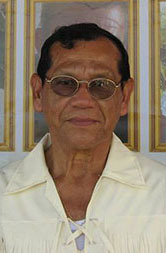 Ferreira was also inducted with the status of “A Hero of Moruca” in 2017 by the Santa Rosa Village Council, and in November this year, he was one of five conferred with the I Change Nations – Sydney Allicock Global Humanitarian Award, named after the Minister of Indigenous Peoples’ Affairs, for dedicated service to the Indigenous Peoples of Guyana. Among his former students are former Minister of Foreign Affairs Carolyn Rodrigues, project officer of the Amerindian Peoples Association Graham Atkinson, who paid tribute at the funeral, and Colin De La Cruz, the headmaster of Waramuri Primary. Throughout his 30 plus years in the school system, Ferreira taught music and involved the school populations in singing and music related activities. He also served as the regional music coordinator for Region One’s education department. In her tribute to him, his daughter Nadia De Abreu called him a “selfless soldier” as he always put the welfare of people before himself. Ronald Gajraj (Dec 15th 2018): The former PPP/C Minister of Home Affairs and High Commissioner to India and Bangladesh died at a private Georgetown hospital after suffering cardiac failure. He was 65. Gajraj was hailed by the party for the role he played in the fight against crime during his tenure. 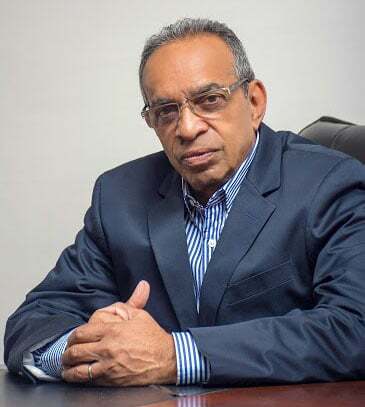 He served as Minister of Home Affairs from January 1999 to May 2005, when he was forced to resign after local and international pressure was applied to the then Bharrat Jagdeo-led administration due to allegations linking the minister to the activities of a death squad. It was the series of sensational statements about the activities of a death squad and its links to Gajraj, made by self-confessed death squad informant, George Bacchus, which led to a presidential inquiry which resulted in the minister’s ouster. The inquiry, however, cleared Gajraj of any involvement in the activities although it raised concern about his associations. It was believed that the death squad was formed in the wake of the 2002 jail break and was responsible for the killing of dozens of suspected criminals and others. Gajraj returned home from India where he was posted as Guyana’s High Commissioner to India and Bangladesh shortly after the change in government in May 2015. 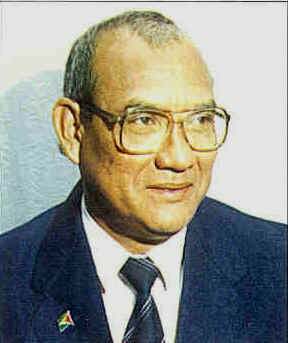 Sir Fenton Ramsahoye (Dec 27th 2018): Guyana’s first attorney general died at the age of 89 at the Bayview Hospital in Barbados after a brief period of illness. 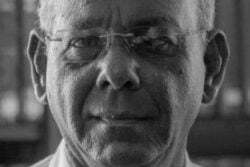 Tributes poured in with the Office of the Director of Public Prosecutions, in a release, saying that Sir Fenton was “a great legal legend” of Guyana, the Caribbean and the Commonwealth, serving selflessly, particularly at the Privy Council and the Caribbean Court of Justice. “So distinguished was his service that he was knighted by the Head of the Commonwealth, Queen Elizabeth,” the release said. The Guyana Bar Association also lauded Sir Fenton’s works. “Sir Fenton was one of the greatest legal luminaries ever produced by Guyana. He achieved distinction in the field of law at an early age in earning a doctorate in law at the age of 30 and serving as the Attorney General of British Guiana between the ages of 32 and 35.” Sir Fenton was appointed attorney general in 1961, having contested and won on a PPP ticket, the constituency seat of Canal Polders, Numbers One and Two. He was also admitted to the bars of England, Wales, Jamaica, the territories of the Eastern Caribbean, including Monserrat and the British Virgin Islands, Trinidad and Tobago, Antigua and Barbuda, and Barbados, where he resided at different times in his life. He was appointed Senior Counsel in Guyana in 1971 and was Deputy Director of Legal Education for the Council of Legal Education in the West Indies and head of the Hugh Wooding Law School as a professor from 1972 to 1975. Vibert DeSouza (Dec 29th 2018): The former Minister of Amerindian Affairs died at this home in Eccles, East Bank Demerara at age 74. He served as the Minister of Amerindian Affairs under the PPP/C government in 1992. He was the first Minister to be assigned to the Amerindian portfolio. Prior to being appointed in that post, DeSouza served as Minister of Local Government and Regional Development. 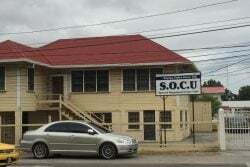 He worked as an entrepreneur and also as a Sales Agent at the Hand-in-Hand Insurance Company; a cultural officer attached to the Agricultural & General Workers Union and a technician clerk, at the St Joseph’s Mercy Hospital. He also served and was a member of several organisations. 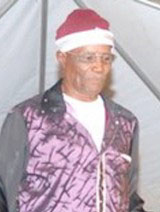 He was President of Catholic Youth, Guyana (1969-1970); a member of the Progressive Youth Organisation (1972-1982); and Vice-president of the Guyanese Organisation of Indigenous Peoples (1991-1992). He hailed from Moruca in the North West District.